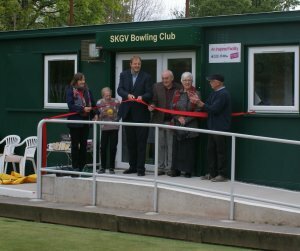 Staveley King George V Bowls Club were successful in applying for an Inspired Facilities grant. Read about how sports clubs in the county have been successful in applying for funding with the help of Active Derbyshire. Speak to Funding Officer Edwina Archer on 01773 741915 or email edwina.archer@activederbyshire.org.uk for funding guidance.